I'm working on a piece about the new Daredevil show on Netflix. My interest is in portrayals of "ordinary" disability, rather than the martial arts, represented by the image below (courtesy Netflix) of Murdock just walking down a street with his cane, rather than in costume or fighting or whatever. 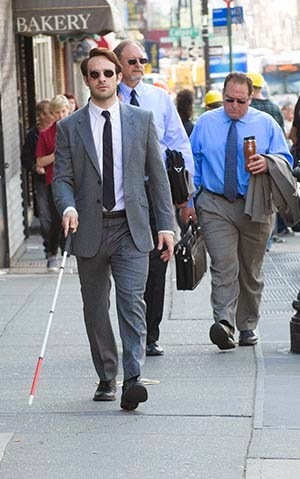 CHARLIE COX as MATT MURDOCK shown walking down a New York street with cane. Photo: Barry Wetcher © 2014 Netflix, Inc. All rights reserved. In researching the piece, I've been reading lots of stuff on disability in comics, and I especially like it when the analysis gets intersectional. Here's one of the most interesting things I've read - "Oracle and Representations of Disability in Superhero Comics," by professor Carolyn Cocca. There's a long history of disability in comics, as accident and illness and exposure often function as critical in origin stories, both to give people their powers and to motivate them to do whatever good or evil things they like to do. I'll have more to say about that in my piece, but here's an insightful bit on intersections of race, gender and disability. When I think about disabled superheroes, three who have been in comics as well as on tv and film come to mind: Charles Xavier/Professor X, Matt Murdock/Daredevil, and Barbara Gordon/Oracle. Two others would probably be familiar to many comics readers: Victor Stone/Cyborg and Misty Knight. But even in this small group there are some uncomfortable differences in their portrayals, in terms of race and gender. For instance, white male professor Charles Xavier uses a wheelchair and yet also has telepathic and psionic abilities; white male lawyer Matt Murdock is blind and yet “sees” even more with his radioactively mutated “vision.” Both are privileged men, made more privileged through their mental superpowers. 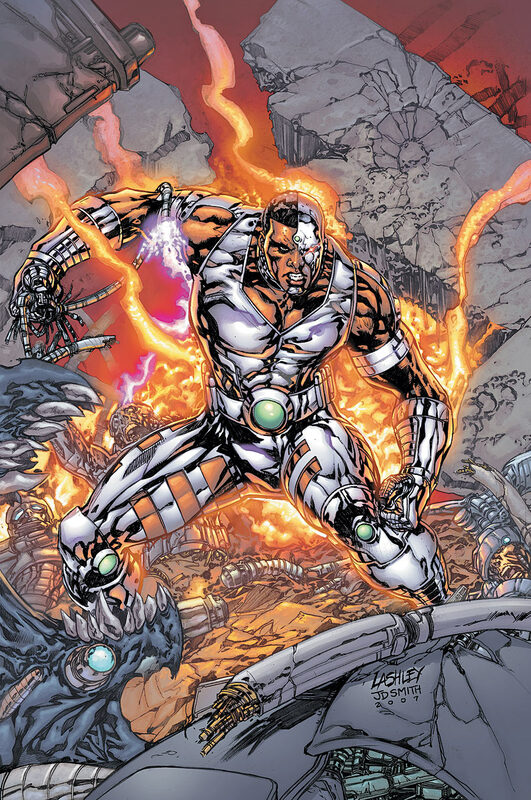 By contrast, Cyborg and Misty Knight are African-American superheroes with sci-fi-prostheses much stronger than their replaced human limbs. Their superpowers are physical, rather than mental; their dark disabled bodies made more fearsome and more “othered” with technology. While it is significant that there are these representations of superheroes with disabilities in and of themselves, the problematic commonality here is that all but one of these five is portrayed as having some extraordinary power that so overcompensates for disability that we almost forget about what we would have labeled a disability in the first place. It is almost as if disabilities are not represented through these four characters. I've been watching this season of Agents of Shield and comparing two characters who went through the Terrigen Mist (read this great piece "Meet the Inhumans" for more on that). Skye/Daisy (played by Chloe Bennet, who is half-Chinese and half-American, but reads as very Anglo in the show as opposed to say, her Mandarin-language pop hit video) has the power to sense and control the vibrations in molecules, more or less, while remaining physically unchanged and beautiful. Meanwhile, Raina (played by Ethiopian actress Ruth Negga), gets her body covered in spines. Her additional power was just revealed at the end of last week, so I'll skip it in case it's a spoiler, but suffice it to say that it's not going to compensate for her physical transformation. More to come. But I think it's fair to say we've got a "dark disabled body made more fearsome and more othered," in the same pattern as Cocca notes above. Edit: Disability on Shield is fascinating. Coulson. Fitz. (white, minds altered). Deathlok (black, body altered). More on this maybe in the future.